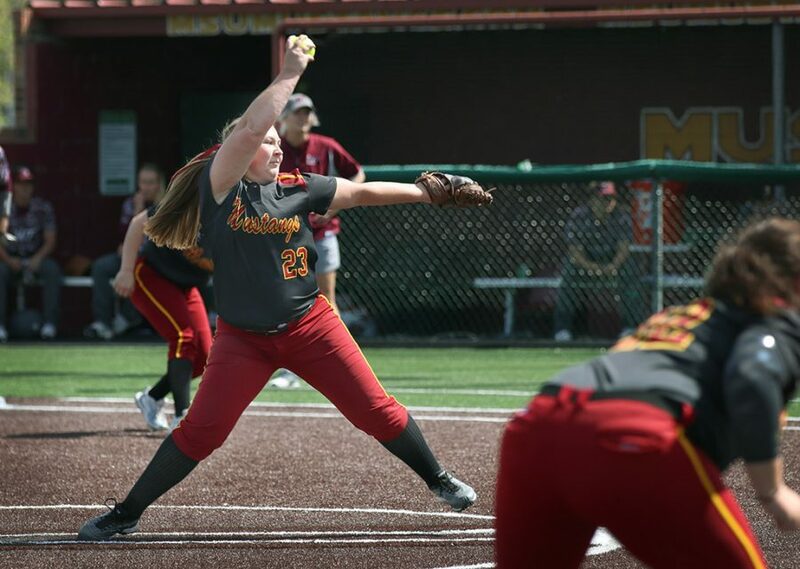 The softball team suffered a loss to West Texas A&M on March 24 at Mustangs Park in the second of three games during the Highway 287 Challenge series. The game ended in five innings due to the run rule. West Texas A&M had 17 runs and the softball team was unable to get anyone home. The first three innings did not leave a large split between the teams. At the top of the first inning Kelsey Eropkin, outfielder and psychology sophomore, made the first out of the game after catching a pop fly. West Texas A&M made four runs and was able to stop the softball team from scoring. At the top of the second inning, Eropkin was able to make the first out. 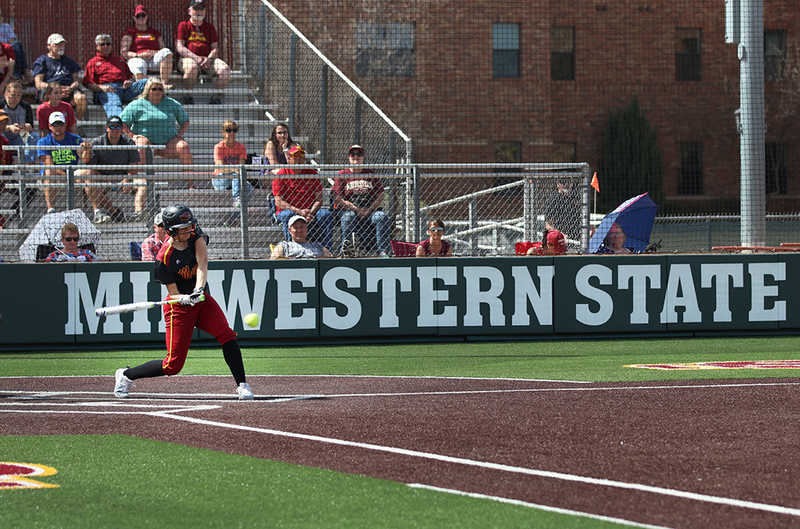 Taylor Britzenhoff, senior infielder made the second out leaving one more out until MSU was at bat. Kelcee Thompson, third baseman and mechanical engineering senior, and Britzenhoff assisted each other to get the last out. The second and third inning ended with no runs from either team. The softball team began to use aggression and switched the sides quickly. Unfortunately, they could not gain any runs. “We just need to start playing together, we are focusing on the uncontrollables but we need to focus on the controllables. We have so much talent on this team we need to show everyone else about it,” Britzenhoff said. The fourth inning was when the opposition was able to put a large split in the score. West Texas A&M managed to get six runs. This inning was the longest, as the team was not able to make outs a swiftly as possible. Lauren Lindgren, outfielder and elementary education sophomore, caught a pop fly ball and completed the three outs. The bottom of the fourth inning ended with no runs from the team again. The opposing team made seven runs in the fifth inning to end the game. “We need to be locked in and even if get down in the first or second inning, we still need to fight back. We can never give up because anything can happen,” Tucker Caraway, utility player and nursing junior said. The softball team lost to West Texas A&M with a score of 0-17. Friday, March 23 the team lost with a score of 6-12. The softball team will return to Mustangs park at 7 p.m. against Angelo State on April 6.